First, you need a good domain name. See Step 1. Second, you need hosting. See on the right. If you go with any decent web host, you will have some kind of auto installer at your disposal. 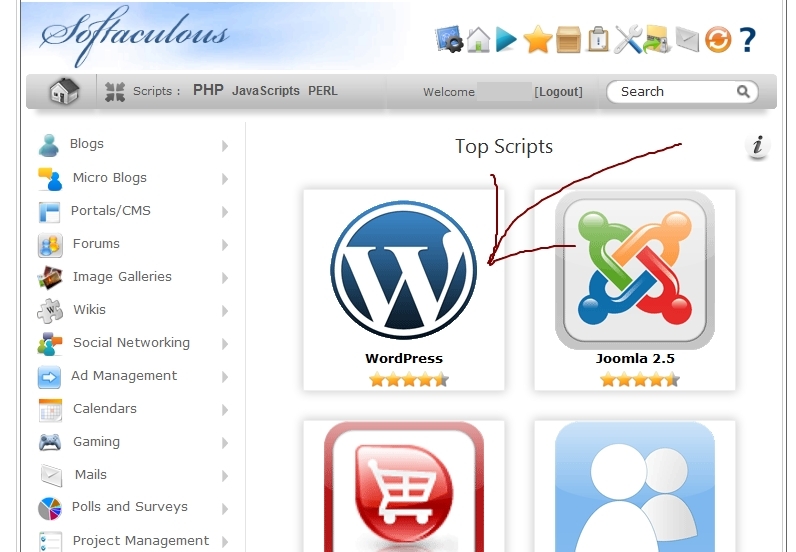 I am incredibly biased towards WordPress when it comes to content management systems. 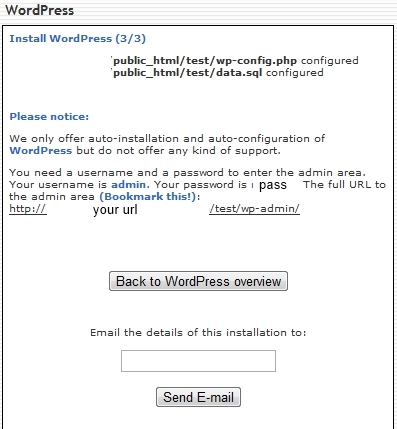 With such an auto installer you will be able to publish your first website in 5 minutes (usually less). 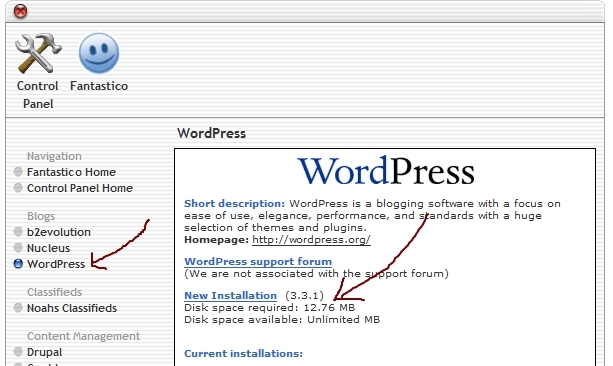 Tip: Use WordPress as your content management system. Depending on your hosting provider, in cPanel you have two options (either one of them or both): Fantastico De Luxe or Softaculous. In my experience, most hosting providers have Fantastico as it’s cheaper for them. Softaculous has more scripts, and it’s also more appealing visually. Let’s go with Fantastico first. 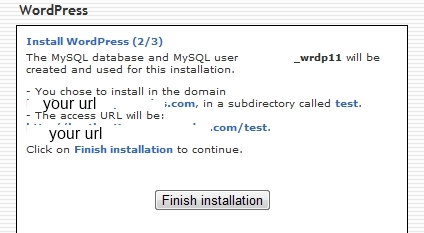 After choosing WordPress, click on new installation. 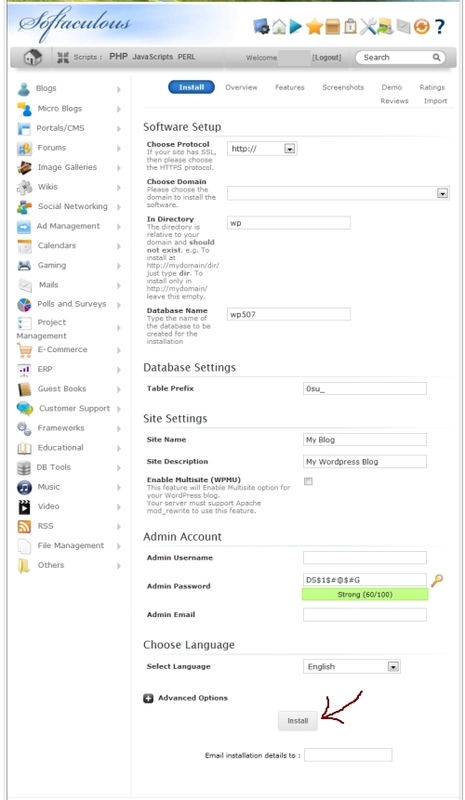 Fill out everything as you see on the image and click Install. Check if everything is correct and click Finish installation. 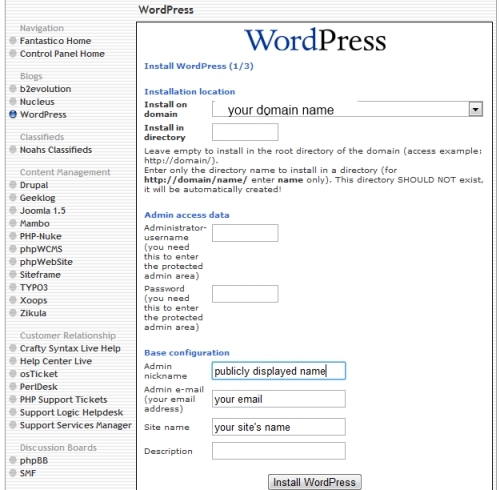 You can email the installation details for later, and now you can reach the WordPress dashboard by visiting yoursite/wp-admin. In Fantastico, under Current Installations, you can just as quickly remove installations. Now let’s do the same thing using Softaculous. The first step is the same: click on WordPress. Now you have to set the basic configuration. Pretty much the same as with Fantastico. After that, you are done! 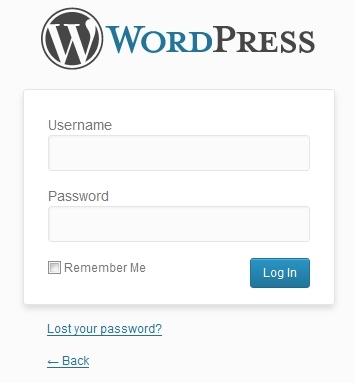 Log in to your new WordPress site by visiting yoursite/wp-admin URL. You will need to install specific plugins and change some settings to make sure you get as much out of your site as possible. Look at the next article. Happy publishing!